Wednesday the 18th January saw the girls of Morzine descend on Chapelle Park! 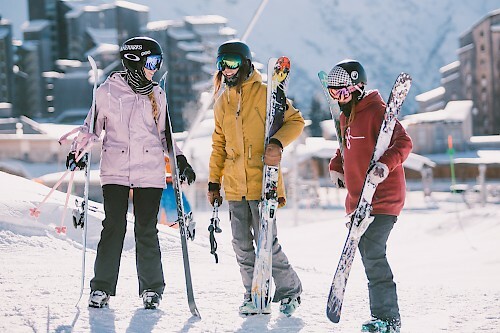 Organised by Mountain Mavericks and Onyx Snowboard School instructor Laura Berry, the Girls Shred Day saw a huge 60-70 girls turn up to the park for some coaching and an informal jam session. 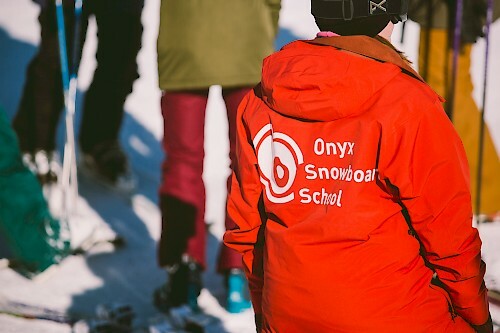 With perfect bluebird conditions and an awesome crew of Morzine locals, seasonnaires and the girls from the Onyx snowboard camp, the atmosphere in the park was buzzing. From girls learning how to spin kickers, to some hitting their first ever box, the day saw heaps of progression from the riders and a whole load of stoke! The day started with a quick meet up and registration at our base in Chapelle Park, Avoriaz, followed by breaking off into smaller groups for coaching and some tips and pointers on some of the kickers, boxes and rails. Everyone was stoked on learning something new, and we have to say a big thank you to all of our coaches for donating their time! In addition to the riding, it was great to see everyone having fun together and helping each other out on the features, giving the day a really inclusive atmosphere and friendly vibe. After riding together for a few hours, we held a short informal jam session on a flat box and flat rail and a blue kicker, for girls to show off what they’d learnt or simply their best tricks. Planks Clothing’s Rob Embling was on the megaphone keeping everyone hyped and giving a humorous running commentary of the events. The guys from Shredits filmed the entire day and produced an awesome edit, and we had Sam Ingles behind the lens photographing the progression and stoke! Check out the album on Le Cottage facebook to see what went down! 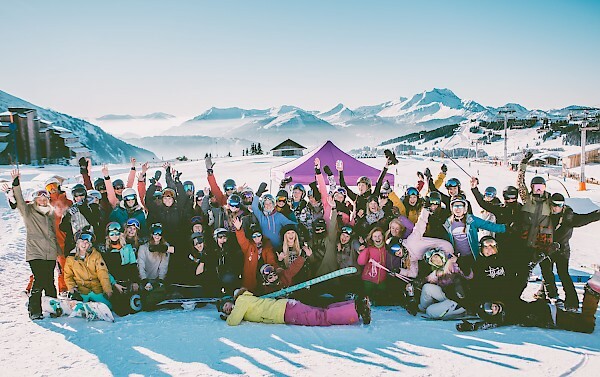 At the end of the day, everyone came together for a big crew photo in the park, before riding down and heading to Mountain Mavericks venue Le Cottage for an epic après session! We had the talented Ophelia Bird and DJ Paul spinning the tunes on the terrace and a tasty BBQ served up by the one and only Mikey. Every girl that signed up for the day got a free demi beer courtesy of Microbrasserie Ibex, and there were toffee vodka shots a plenty going around too! With everyone sufficiently enjoying a post shred catch-up and a well-earned drink, it was time for the prize giving for the larger categories. 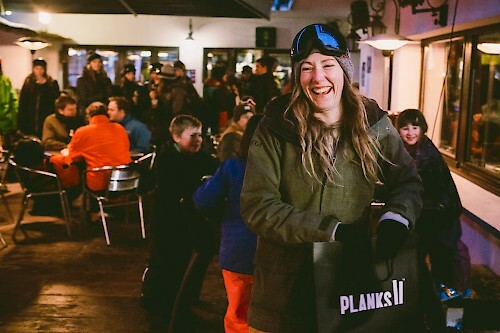 We had some amazing prizes from our sponsors including a jacket from Planks Clothing, snowboard coaching with Onyx Snowboard School’s Laura Berry, dinner for two at L’Aubergade, and loads of stash from Bro! Clothing, Jam Society, WMBC Clothing, Emily Ruth Yoga, and Bec Jaune Brewery. It was a great day of fun and progression, and it was awesome to see so many girls out in force empowering each other to try new features and tricks in the park. We hope everyone that came down had a good time and met lots of girls of similar abilities to go out and have fun with on the mountain – after all, that’s what it’s all about! Thank you again to everyone that came down to shred, support and sponsor. It was a great day and we’re already pumped for the next one!! Keep an eye on the horizon for the next date.